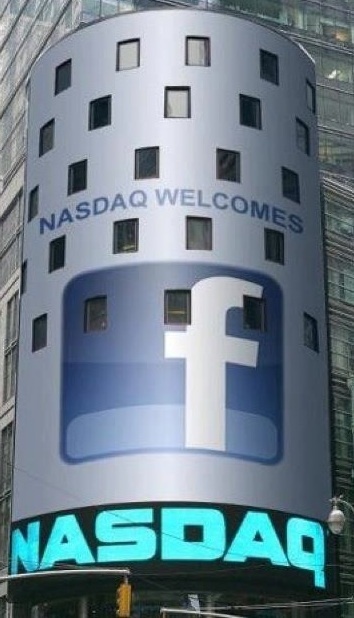 Today’s Facebook IPO is a momentous, historical occasion. It’s set to be the biggest tech IPO ever, and the third largest IPO in U.S. history, second only to Visa and General Motors. The company that was once just a glimmer in the eye of a Harvard student named Mark Zuckerberg raised over $16 billion yesterday as shares were gobbled up by hungry investors, and that $38 share price point is expected to increase as the stock starts trading around 11am today. That’s more than nine Google IPOs, the cost of buying Napster 132 times in 2008, and enough to buy Mark Zuckerberg plenty of executive hoodies — 266,266 to be exact. And how did I calculate this madness, you ask? I didn’t. 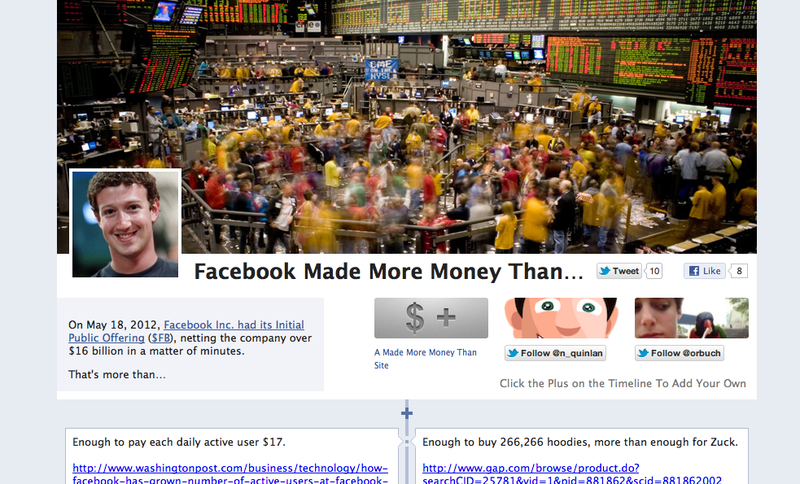 A new website just popped up titled “Facebook made more money than”, and it looks a helluva lot like a Facebook page (fittingly). The site is sourcing facts from the web to provide a little added perspective on just how much $16 billion is worth. The $16 billion netted by Facebook before the stocks begin trading is more than the value of 66 sets of Winklevoss twins.